A three month knit along…I’ll be honest I really thought I would get two sweaters knitted up, no problem. The truth of the matter is that there is no way that this will happen. 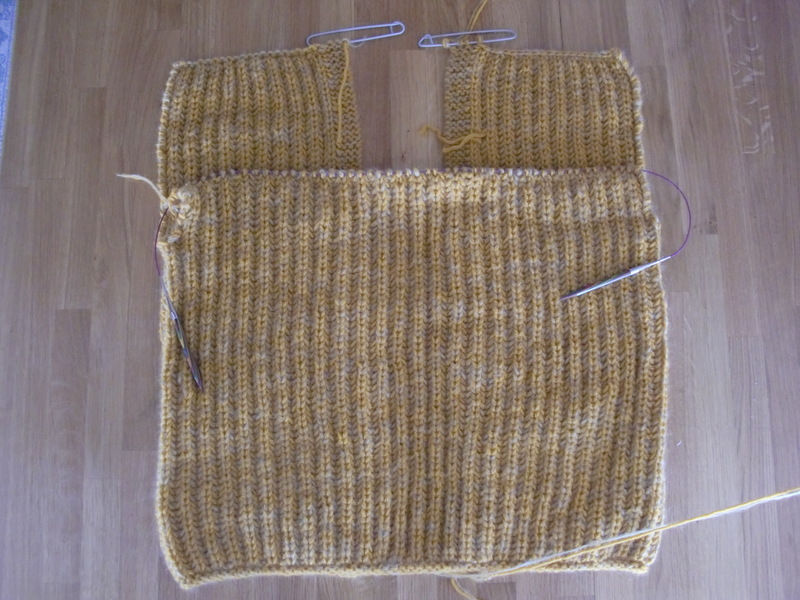 I am making quite slow progress with my Yellow Slouchy Cardigan that I am knitting as part of the luvinthemommyhood summer sweater knit along. My time seems to be being taken up with family stuff and well, I don’t really know. I am loving how my cardigan is working up. It’s nice and quick to knit and doesn’t require a lot of thought. A word of warning though. 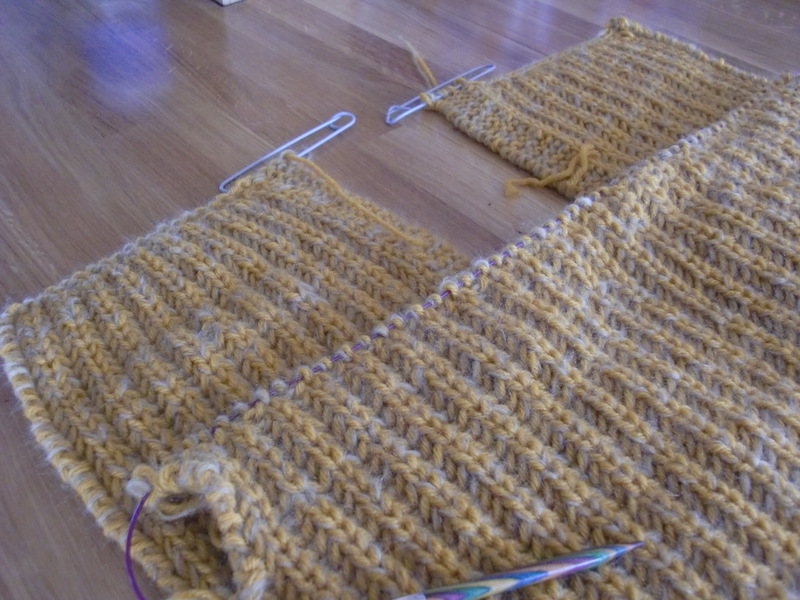 Do not make a mistake when knitting the brioche stitch. It is a nightmare to frog back!! I made a mistake when picking up stitches for one of the fronts and it took me forever and a lot of frustration to sort out. Actually I didn’t quite sort it out but I hope that no one will notice! The KAL finishes at the end of September, so I guess I may just get around to starting the second project that I had planned in. I’ll need to get a wriggle on though as I would really love to be able to wear it this winter!